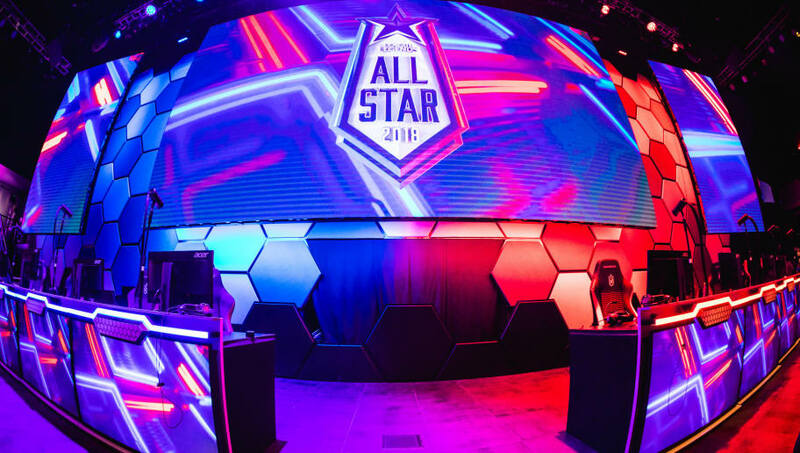 League of Legends All-Star serves as one of the most anticipated ways to celebrate the competitive season for professional players and viewers alike. This year introduced a number of changes, both good and bad, that helped make for one of the best years the event has seen. Despite its overall positive reception, the All-Star event still has room for improvement. This year, Riot Games extended an invitation to streamers and prominent members of the community from each of the major competitive regions. A number of viewers loved seeing their favorite personalities take the stage, although some disagreed. It can be difficult for the audience to connect with streamers they are unfamiliar with, especially in each of the events. Riot Games could still invite streamers to participate but only in one or two of the game modes instead of a large majority of events. By doing so, Riot Games could open up more of the player slots for the community to vote for more pro players. Castors and analysts also serve as some of the biggest personalities in the League of Legends scene, and as desk talent for a number of international events, they are typically better known by viewers of the competitive scene than streamers. The rivalries and camaraderie between players and casters can be one of the most entertaining elements for viewers to watch. In order to celebrate the broadcast talent, Riot Games could implement a game mode where at least a few members of the desk take the stage alongside the pro players, just like they did during the NA LCS ​summer split finals. For the game modes themselves, a few slight adjustments could be made to improve the overall event. ARURF made its appearance on stage, and as one of the most beloved game modes within the community, many viewers were initially excited for the game mode. With the random champion draft of ARURF, it became painstakingly clear the draft fell in favor of one team, who was able to slam their opponents due to a better team composition. One-sided victories are never fun to watch, so Riot Games should exclude ARURF from the next All-Star event and replace it with URF. Likewise, Nexus Blitz made its first appearance on the stage this year. The biggest difficulties with the game mode was, because the game is so new, some didn't fully understand its rules or mini-events. This lack of understanding often showed through the casters themselves. Witnessing the chaos that can take place in a Nexus Blitz game resulted in a number of people wanting to try the mode out for themselves. Lastly, Riot Games should further encourage viewer participation and community engagement. The company can do this through a number of different approaches, including mentioning viewer Tweets under a unique event hashtag or through releasing more unlockables in-game, such as chromas and icons. Overall, the event turned out to be incredibly entertaining for everyone who participated, despite its minor shortcomings. By listening to community feedback and implementing these few changes, Riot Games could improve the event for next year.